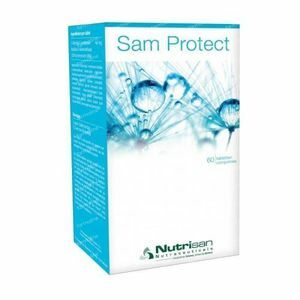 Nutrisan Sam Protect 60 tablets order online. 1 tablet 2 times per day, on an empty stomach (at least 1/2 hour prior to the meal). Taking SAMe before going to bed, may disturb your sleep. Sam Protect is not suitable for people with manic-depressive psychosis because of an increased risk of a manic outburst.